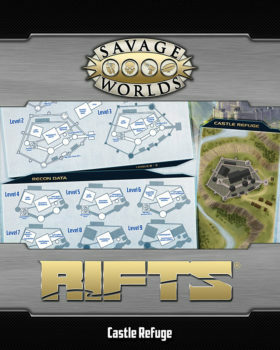 Explore the world of Rifts® using the Savage Worlds system! 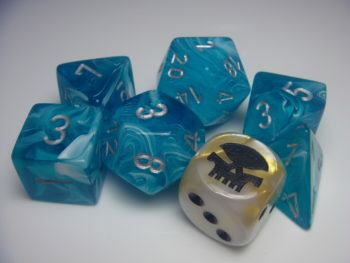 A small town is caught in the middle between different groups wanting to exploit the region. Heroes of the Tomorrow Legion arrive just in time to make a difference in this settlement’s future. But first, the Legionnaires have to deal with various threats that could wipe this town off the map! 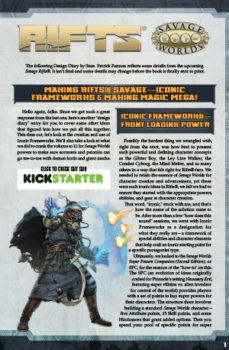 The hardcover landscape GM Screen brings all the tables and charts for easy reference, including Combat Options, Reaction Table, and Ley Line Characteristics! 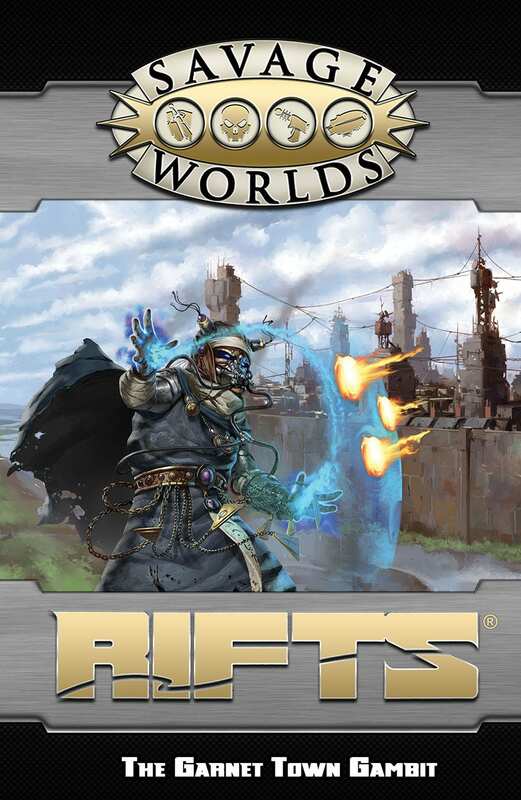 These two items are sold together and require the Savage Worlds core rules, Rifts®: The Tomorrow Legion Player’s Guide, and Rifts®: Game Master’s Handbook to play. 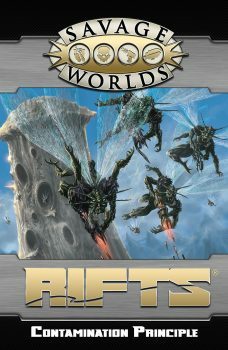 Rifts® and Megaverse® are Registered Trademarks of Palladium Books, Inc. All character names and likenesses are copyright and trademarks owned by Palladium Books, Inc. and used under license.